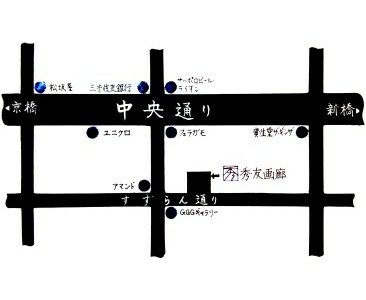 Toru Iwaya's exhibition will be held at the Shuyu Art Gallery in Ginza from May 22th until June 4th 2012. 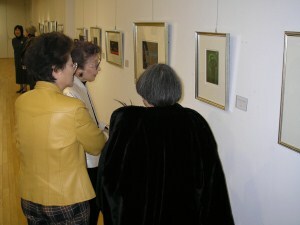 The gallery's director, Mr. Asano, has a solid 40 years career in the art dealership and has a very strict policy on the artwork being exhibited at this gallery and for this event he has selected Iwaya's work for his quality and reputation. Among the others, Käthe Kollwitz has also been exhibited and sold at the Shuyu Art Gallery. For this event Toru Iwaya will exhibit a collection of 30 black and white mezzotints featuring his famous Noh Mask series. The series span over 40 years of work. He is an expert in the field of mezzotint, truly a class on his own, and his collections are widely known and appreciated all over the world especially in Europe and the United States where many museums have permanent exhibitions of his artworks. He has spent more than 30 years in France and the National Public Library in Paris host a permanent exhibition of 61 artworks. His mezzotints inspire a profound sense of serenity, and his style is style feature both traditional Japanese style and mixed Japanese-Western style. For the duration of the event, the gallery will have also English speaking personnel available for all visitors who do not speak Japanese. The exhibition will be open 7 days a week, and is located on the 1st and 6th floor of the Maruyoshi Building, see address, map and hours of operations below for details. Maruyoshi building 6F & 1F Tokyo, Japan. Click here to see the location of the Shuyu Art Gallery on Google Maps.